This is the second part of a series on what is drawing voters to the BJP. One evening in November 2018, while browsing through a stationery shop, Jitendra Kumar, 26, spotted a notebook cover with the logo: Stanford Convent School. He did not know what it meant, but it looked impressive. He clicked a photo and sent it over WhatsApp to his friend, Sanjit Kumar, 23, who suggested they change the word “convent”, which was hard to pronounce, to “public” which was more commonly used. 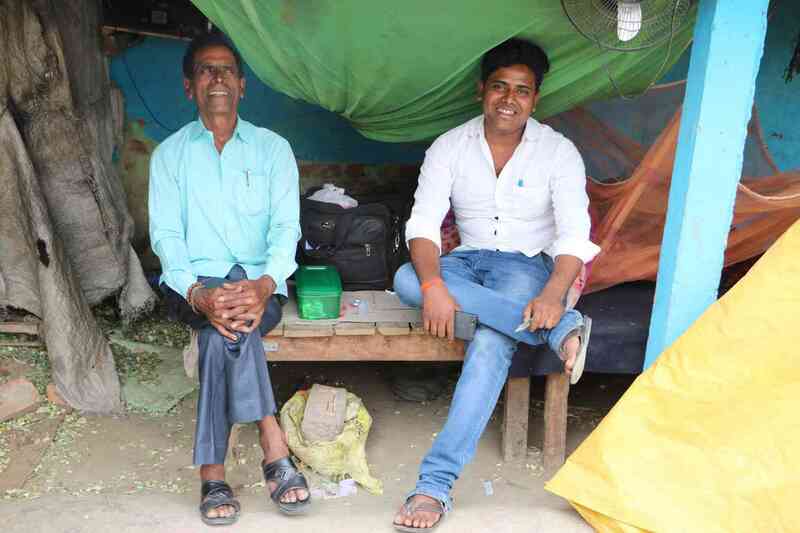 Both the men – young, jobless graduates – were doing what other young, jobless graduates do in Bihar: they were opening a private school in their village, Masnadpur, in Begusarai district. 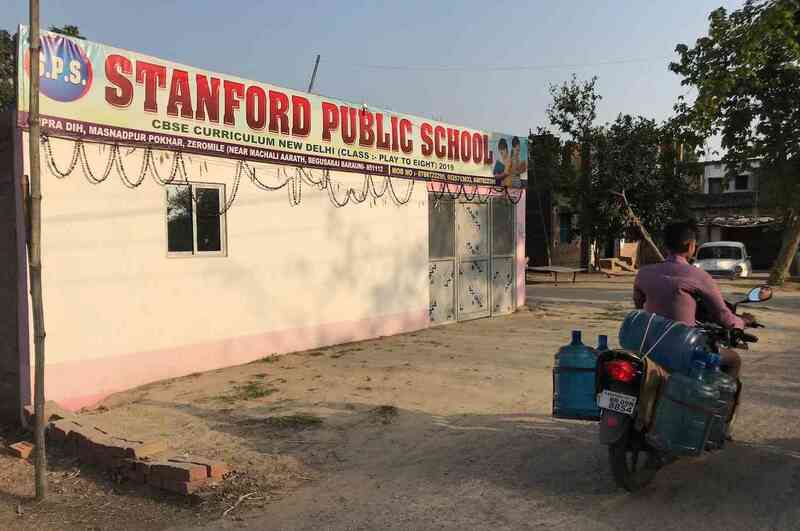 The school recently started classes from nursery to Class 5, around the same time as another young man from the village, Kanhaiya Kumar, 32, announced his plans to contest the Lok Sabha election. From the relative obscurity of student life, Kumar, the president of the Jawaharlal Nehru University’s Student Union, was pitchforked into the national spotlight in 2016 when he was charged with sedition for allegedly shouting anti-India slogans on campus. Since then, he has become a prominent face of dissent against the Narendra Modi-led Bharatiya Janata Party government. On April 9, he filed his nomination from Begusarai as the candidate of the Communist Party of India. Both Jitendra and Sanjit said they are voting for Kanhaiya Kumar – but not for ideological reasons. As prime minister, they want Narendra Modi to continue, even though they have one major grouse against him. “I wanted to clear the SSC GD [exams for paramilitary constable positions]. But no vacancies opened for two years and I crossed the eligible age,” said Jitendra. Just as Kanhaiya Kumar had made Begusarai proud, Modi had made India proud. “Even America has taken note of India,” Sanjit said, with a firm nod. Five years after its giant-sized victory, will the Bharatiya Janata Party win the election, despite falling rural wages and incomes and rising unemployment? 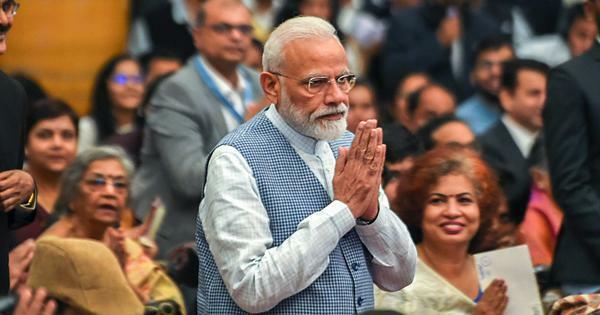 What is drawing voters to the party – the record of the Narendra Modi government, the party’s majoritarian politics, or the personal appeal of the prime minister? 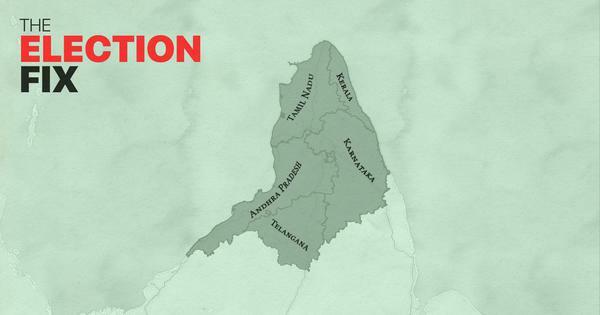 In the second part of The Modi Voter series, we travel to Bihar to look for answers. On the walls of Kanhaiya Kumar's house, his campaign slogan: "Elect a son, not a politician"
Stanford Public School lies on the road to Kanhaiya Kumar's house in Masnadpur village. 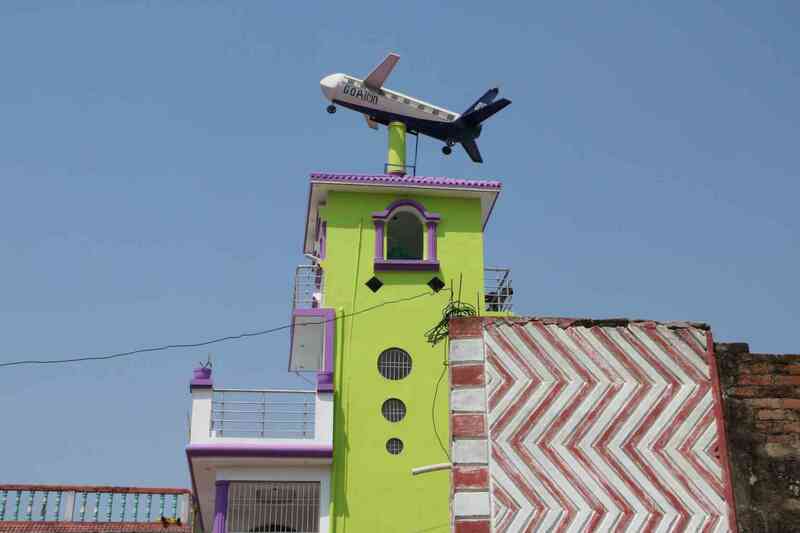 A plane replica in a village in Begusarai is a symbol of a society always aiming high. 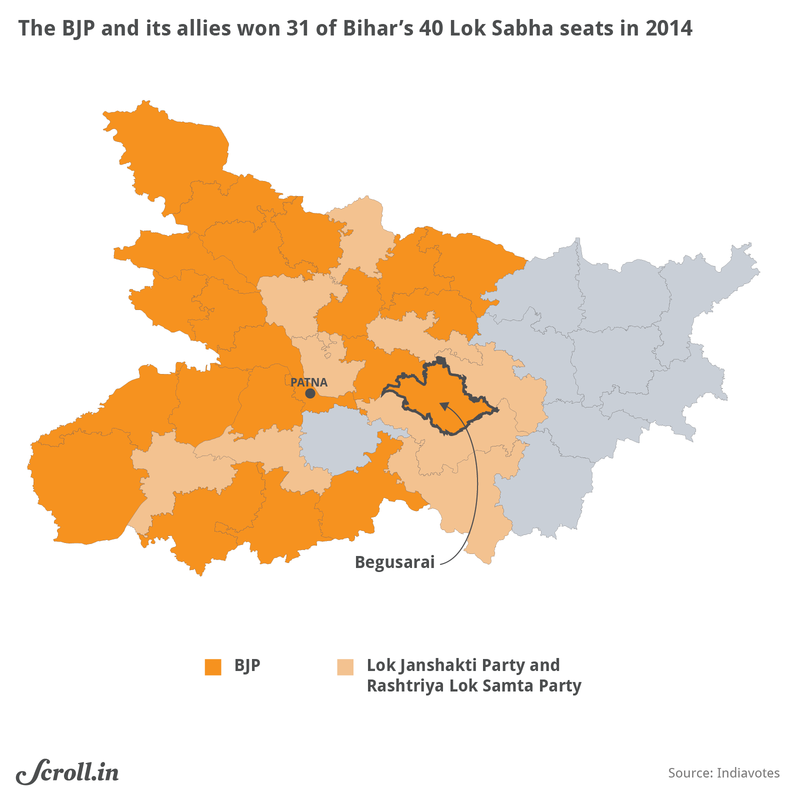 In 2014, the BJP won 22 of the 40 Lok Sabha seats in Bihar – the party’s best ever performance in the state. What made it more impressive was that it had contested elections without the support of the Nitish Kumar-led Janata Dal (United). The two parties had run an alliance government in the state since 2005, with their primary vote bases complementing each other – a section of backward castes for the JD(U) and upper castes for the BJP. But in 2013, the JD(U) parted ways with the BJP over its choice of Modi as its prime ministerial candidate. The result was a triangular contest between the JD(U), the United Progressive Alliance led by Kumar’s arch rival Laloo Prasad Yadav of the Rashtriya Janata Dal, and the National Democratic Alliance led by the BJP. The NDA swept the election, winning 31 of the 40 seats. The Modi wave had pulled in voters across social groups, leading to a 15% jump in the BJP’s vote share. The BJP had been careful not to depend on Modi’s popularity alone. It had drafted smaller parties and independent leaders with caste-specific vote bases as allies: the Lok Janshakti Party of Ram Vilas Paswan, with strong support among Dalit Paswans; the Rashtriya Lok Samata Party of Upendra Kushwaha, which claimed to represent the Koeri-Kushwaha backward caste group; and Mukesh Sahni, a former film set designer belonging to the traditional fishermen caste. In 2015, the same combination, however, lost to the combined force of Nitish Kumar and Laloo Yadav. The alliance government did not last – in 2017, Nitish Kumar dumped RJD and re-formed the government with the BJP. In the seven phase election of 2019, Bihar’s electoral arithmetic is complex. To stitch up the NDA, the BJP has ceded ground to the JD(U), giving up its claims on five seats it had won in 2014. Ram Vilas Paswan’s Lok Janshakti Party continues to be an ally. But two other BJP allies of 2014 have crossed over to the RJD-led Mahagathbandhan or grand alliance: Upendra Kushwaha and Mukesh Sahni. They also have the support of former chief minister Jitan Ram Manjhi and former JD(U) leader Sharad Yadav. One party with whom the Mahagathbandhan’s talks fell through, however, is the Communist Party of India. The sticking point was the Begusarai seat. 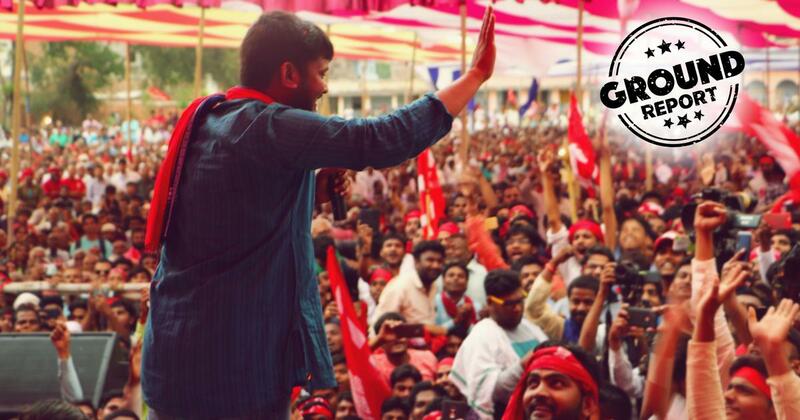 Sensing a revival in its old bastion, the CPI wanted to field Kanhaiya Kumar as a joint candidate, but the RJD refused to back off, arguing it had finished second in the 2014 election with double the CPI’s vote share. The result is a “trikoniya sangharsh” or triangular contest in Begusarai, as every voter will tell you. The CPI’s Kanhaiya Kumar is pitted against Giriraj Singh of the BJP and Tanvir Hassan of the RJD. Singh, 66, a minister in the Modi government and the face of hardline Hindutva in Bihar, is best known for his vitriol against Muslims. Hassan, 62, is a member of the Bihar legislative council, who contested and lost the 2014 election. Begusarai is the most keenly watched contest in Bihar, but is it really the clash of ideas it is made out to be? What does it tell us about the larger shifts in Indian politics since 2014? Enthused by the support of young voters for Kanhaiya Kumar, a middle-aged CPI village leader said: "Kabr mein se communist nikal aaye". The communists have emerged from the grave. “I have not entered politics to make a career,” he continued, raising his pitch steadily. “I have entered politics” – and the pitch went higher – “so kamaane waala khayega, lootne waala jayega”, that those who work hard will be compensated, those who loot will have to go. But there was one problem. 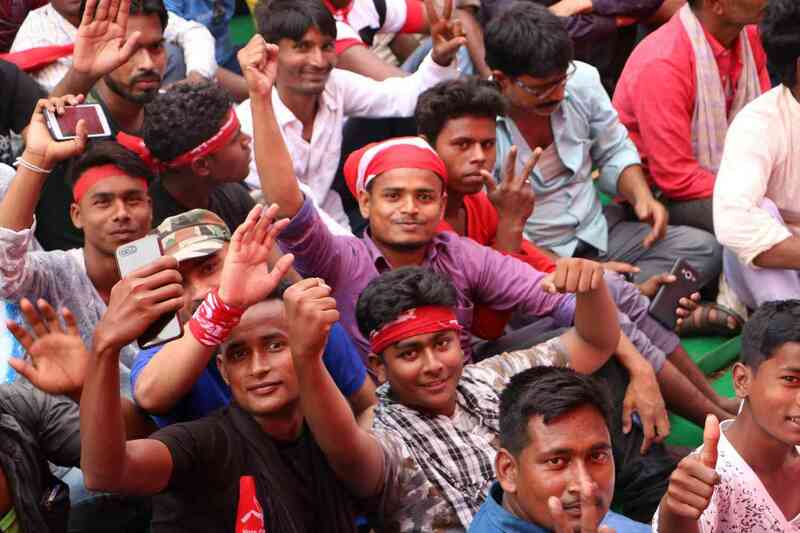 Not the sedition charges against the former student leader – “how do we know whether they are true or false.” Not caste allegiance – Ajay Kumar is a Bhumihar, the same upper caste group to which Kanhaiya Kumar’s family belongs. Not even have an aversion to left politics. “My own family used to be with the Communists,” he said, echoing the area’s history when an affront to Bhumihar pride in 1957 paved the way for the CPI. 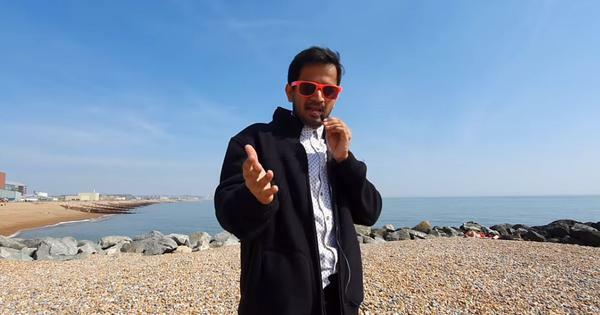 The problem with Kanhaiya Kumar, Ajay Kumar explained, was his affinity for Muslims. Conversations in villages where the dominant Bhumihar caste lives nearly always ended on a similar note. 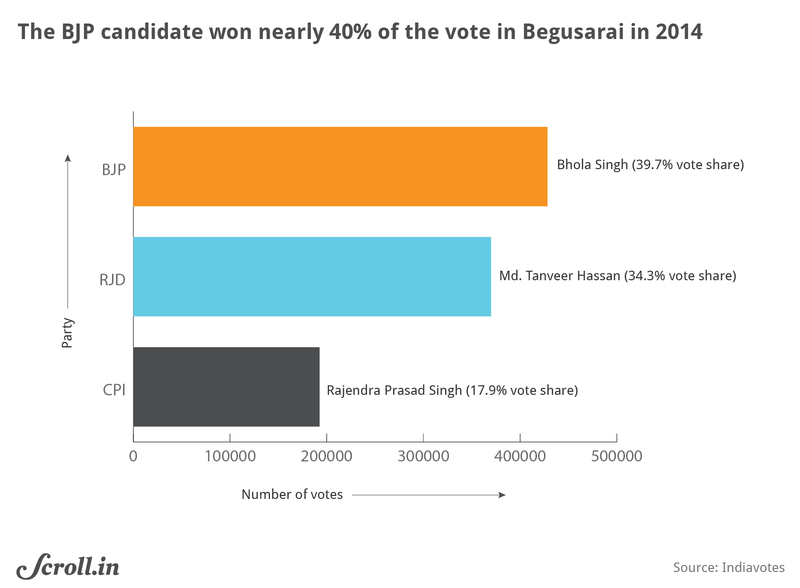 The communal sentiment appears to be strong among members of the caste, which political workers estimate accounts for nearly 20% of Begusarai’s voters. This sentiment appears to underpin their support for BJP, more than any caste allegiance to Giriraj Singh, also a Bhumihar. Arvind Kumar, a farmer from the Bhumihar community, is a stanch supporter of Narendra Modi. 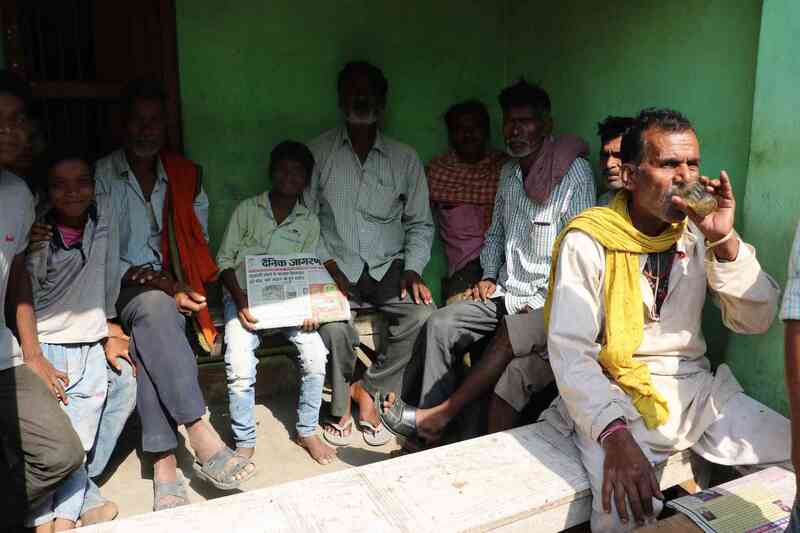 “Write down: Har Har Modi, Ghar Ghar Modi, Modi Modi Namo Namah,” Madhav Singh, 47, shot off, as soon as this reporter asked him about the elections. It was 8 pm and Singh, a farmer, stood chatting with other Bhumihar men who had gathered at a dairy farm in Ratanpur in Begusarai town. But the disappointment with Modi government’s agricultural policies had not dampened their enthusiasm for the prime minister’s leadership. Arvind Kumar, 40, another farmer with saffron gamcha around his neck, explained: “When a newly wed bride enters her husband’s house, it takes her some time to understand how to run the house.” Besides, he said, Modi had proved his capability on the crucial front of national security. It isn’t that Bihar lacked friction between Hindus and Muslims earlier, but the last five years have seen an upshot in communal violence. Giriraj Singh has taken the lead in stoking Hindu resentment, often over incidents that the state deputy chief minister, who is also from the BJP, denied had anything to do with religion. 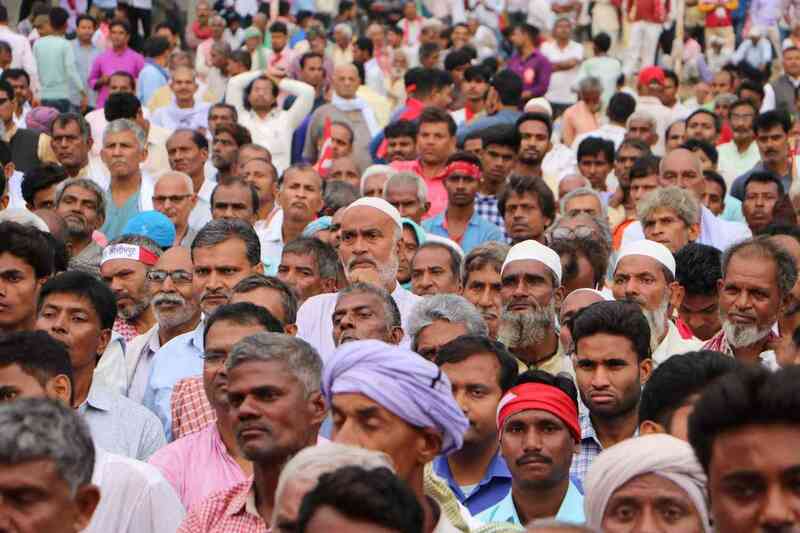 Kanhaiya Kumar's rally in Begusarai on April 9 saw a large turnout. In Begusarai, a flashpoint occurred in 2018 at the time of Durga Puja near Baro village, not far from Kanhaiya Kumar’s home. Muslim residents recall with appreciation that the young leader promptly visited their homes. Conventional logic would have Muslim voters back a candidate from their community, but in Begusarai, Muslims are among the most enthusiastic supporters of Kanhaiya Kumar. “He speaks the truth, he speaks for our rights,” said Mohammad Faiz, 35, a phirki wala who cycles 30 km everyday peddling children’s clothes. “Baat bhi achcha hai, ikhlaq bhi achcha hai unka.” He is good, both by word and temperament. Hassan hotly contested this. He pointed out that he had polled 3.69 lakh votes in 2014, losing to the BJP by a slim 5% margin, even in the midst of the Modi wave. 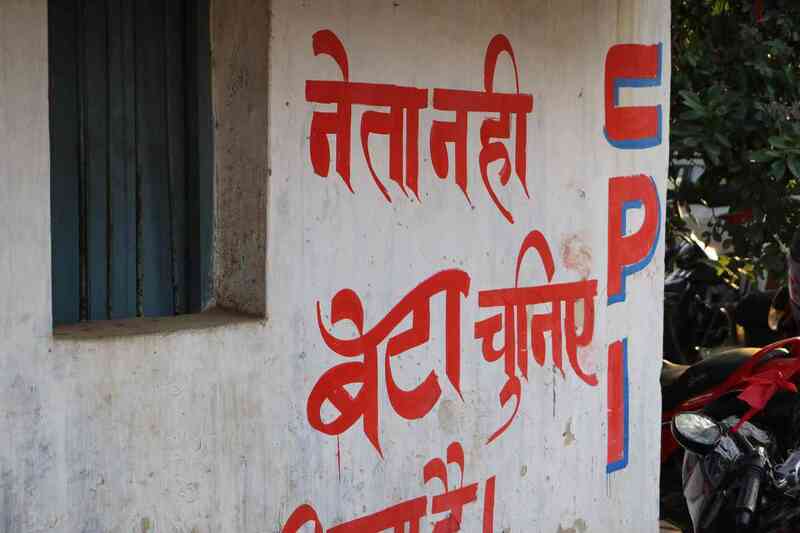 The CPI, in contrast, had contested elections in alliance with the JD(U), and yet polled only 1.92 lakh votes. This time, the RJD was even stronger, he claimed, since it had more allies – not just political parties, he hinted, but “entire social groups”. “Mukesh Sahni’s community is standing by him, they are one lakh of them here,” he said. The jeep he was campaigning on bore the flags of all the constituent parties of the Mahagathbandhan. But wasn’t Kanhaiya Kumar drawing personal support well beyond the CPI’s traditional voters, I asked. The RJD wants to believe that Muslim voters, seeing the lack of Bhumihar support for Kanhaiya Kumar, will eventually return to its fold. In the curious ways in which communalism jostles with caste and party affiliations, among the Bhumihars, a few who identified themselves as old Congress loyalists said they would vote for Kanhaiya Kumar because the Mahagathbandhan candidate was Muslim. “Mian ko kaise de dein?” How do we vote for a Muslim? 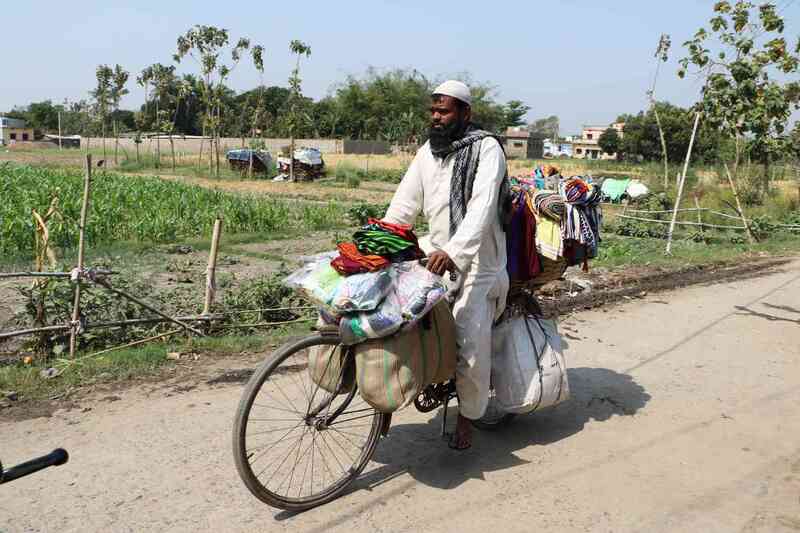 Mohammad Faiz cycles through 4-5 villages everyday. He claimed Kanhaiya Kumar was immensely popular on the ground. 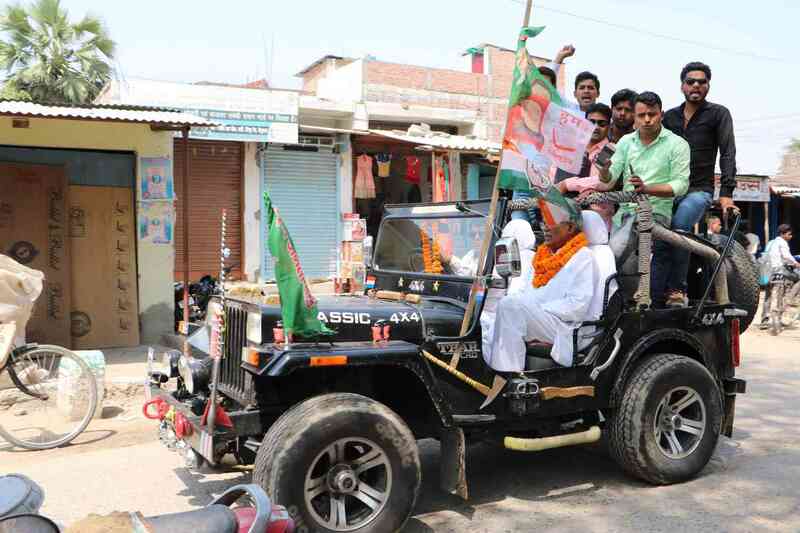 The RJD candidate was campaigning in a jeep with the flags of all the constituent parties of the Mahagathbandhan. In the end, most conversations with party workers came to rest on old community-based vote formulations. BJP supporters were quick to point out that in addition to an overwhelming section of the Bhumihar vote, they had the social base of JD(U). While Nitish Kumar belongs to the numerically small middle-caste Kurmi group, he has built support among communities lower down the social ladder, officially classified as the extremely backward castes and the Mahadalits. In one village, daily wage workers from extremely backward caste communities like Tanti, Kanu and Kalvar, initially said they were voting for BJP because Modi had done good work, but eventually revealed they were JD(U) supporters who were transferring their votes to an ally. 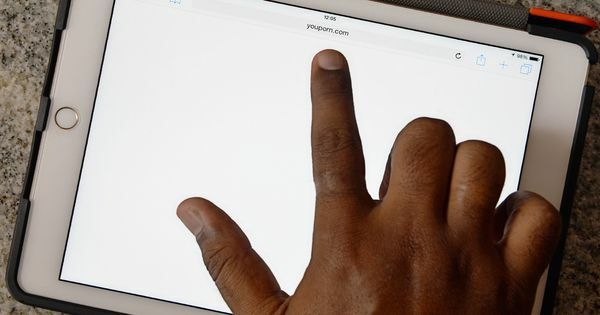 Such political behaviour is comforting to parties – it is a sign of a “normal election” as opposed to a “wave election” in which a leader manages to override established norms to win the support of diverse social groups. This is what Modi did for the BJP in 2014. And this is possibly what Kanhaiya Kumar could do for the CPI in Begusarai. They may have wildly contrasting politics but show similar attributes: powerful oratory, deft messaging and an ability to draw the media. “Neta nahi beta chuniye” – Elect a son, not a politician, Kumar’s campaign slogan goes. Across caste groups, young people are drawn to him. In Manikpur village, Naresh Yadav, a medical representative, is voting for the RJD because “Laloo ji is in jail”, but his son, Sarvesh, 22, is voting for Kumar. Naresh Yadav is amused that his son's political preference is different from his own. In a colony of painters, everyone praised Modi, except the man drinking tea who turned out to be a member of the CPI. Both Jitendra and Sanjit, the young graduates running a school in Kumar’s village, who are voting for Kumar are from the Kurmi community. Even in a village of the Sahni community, which RJD leaders claim is more committed to the Mahagathbandhan than even Yadavs, a young teacher, Anil Kumar Sahni, 28, said he was voting for Kumar. 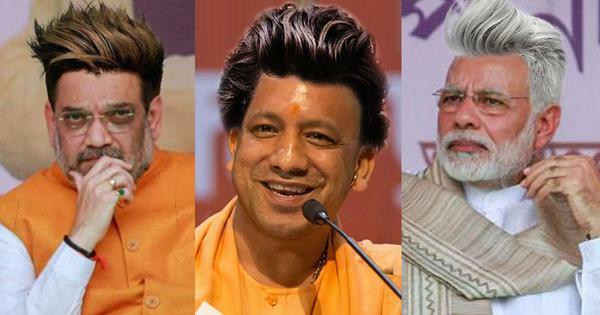 Remarkably, though, all these young men have another thing in common: they all want Modi as prime minister. “The country needs his leadership,” said Sahni. If Kanhaiya Kumar goes on to win Begusarai, it won’t be because voters wanted to defeat Modi. Barring Muslim voters and CPI cadres, no one seemed to have a problem with either the policies or the majoritarian agenda of his government.